Having been in sales for over 35 years in the San Francisco area, I decided to move to Grass Valley. My daughter, Barbara De Renzo Donovan, has resided here since 1978. My frequent visits over the years helped me decide that Grass Valley was the place for me. In 1999 my wife and I purchased a home in Alta Sierra adjacent to the golf course. 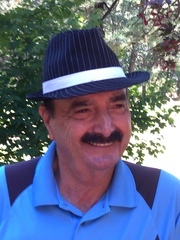 I joined the Golf Club at Alta Sierra and stayed a member until November 2015. We love living in Grass Valley and have no intentions of leaving. I obtained my real estate license through the help of Century 21 Davis Realty, Inc. Working for Century 21 Davis Realty will help me to achieve my goal of helping people find the perfect real estate for their needs and wants. Please feel free to call me any time.